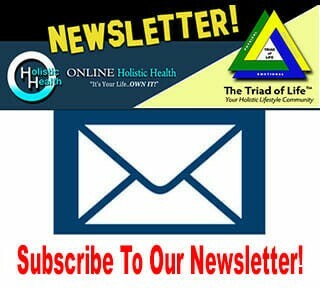 Every year, come December or January, the CDC announces that the so-called cold and flu season is upon us. Various media outlets report almost daily about the latest “flu epidemic,” and pharmacy shelves are overflowing with medications to treat the symptoms of the common cold and flu. We are told to run out and get a flu vaccine, bathe in antibacterial hand sanitizer, and steer clear of anyone who dares sneeze in our presence. What we don’t hear enough about is the importance of proper nutrition, a well-rounded exercise regime, and the ability to effectively manage stress, all as a means to naturally increase resistance to colds, flu and infection. In other words, they all help to build a healthy immune system! So What Is The Immune System? 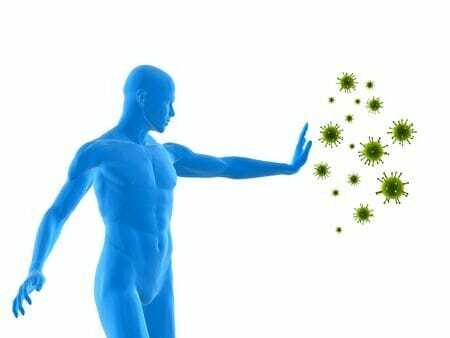 Basically, the immune system is made up of cells, tissues, and organs that work together synergistically to protect against infection and disease. 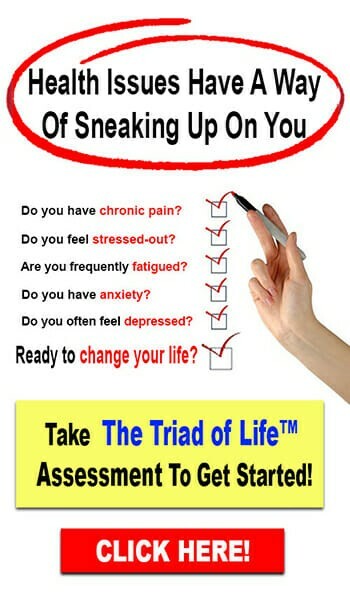 In order to have a fully functioning immune system requires balance in the immune response. So, an efficient immune response protects against disease and various disorders, while an inefficient immune system allows a disease to develop. Immune system disorders occur when the response is excessive, lacking or inappropriately working against its own body tissue. There are many research studies correlating a healthy immune system with proper nutrition which includes antioxidants, phytonutrients, vitamins, and minerals. These are all important in supporting a healthy immune system that is able to fight off substances in the body that could be harmful and/or contribute to chronic and degenerative diseases. Let’s briefly discuss these nutritional “buzz-words”. Antioxidants prevent or delay acute damage to health by quenching the oxidative free radicals that can damage cellular components. It is widely accepted that chronic degenerative diseases such as autoimmune, cancer, and even aging, may be the result of cumulative oxidative damage to cellular components. Phytonutrients are naturally occurring chemicals found in plant-based foods that may have antioxidant and/or hormone-like properties. These chemicals give fruits, vegetables, legumes and whole grains their varied colors, flavors, and aromas. Some phytonutrients inhibit tumor initiation by blocking the activation of potential carcinogens; while others increase the rate at which cancer-causing chemicals break down. Vitamins and Minerals such as Vitamin A, Vitamin C, Vitamin D, Vitamin E, selenium, and zinc are known to specifically support the immune system by protecting and preventing cellular damage from free radicals. Though supplementing is a good idea and is often needed in our polluted and stress-filled world, consistently eating the proper nutritionally dense foods is always the best bet for a healthy immune system for the long run! 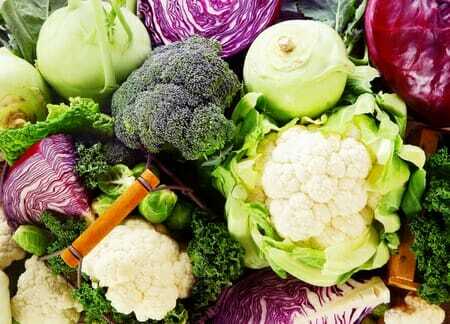 Cruciferous vegetables are packed with nutrients such as beta-carotene, Vitamins C, E, K, and minerals. They are also loaded with phytonutrients such as glucosinolates that contain enzymes and antioxidants that have been reported to improve immune response and reduce the risk of certain cancers including breast, lung, colon, esophageal and prostate. Glucosinolates are metabolized into indole and isothiocyanate compounds that may enhance detoxification activity and boost cellular antioxidant defenses. Cruciferous vegetables include broccoli, cabbage, cauliflower, kale, radishes and Brussels sprouts. Add these vegetables to warm soups or stews, drizzle with balsamic vinegar or cut into bite-sized pieces and dip in organic plain yogurt as a snack or appetizer. Yum! Onions and garlic contain organic sulfur compounds that give them their characteristic pungent smell. These compounds possess antioxidant and anticarcinogenic properties and promote detoxification. Additionally, they contain important phytochemicals such as quercetin in onions and allicin found in both onions and garlic. Quercetin breaks up mucus in the head and chest and has been shown to reduce inflammation and enhance the immune system. Allicin is an immune-stimulating nutrient that is released when the bulb is chopped or crushed and has been reported to slow down the activity of many viruses and bacteria. I don’t just love onions and garlic…I LOVE them!! I honestly can’t think of one dish that I don’t add these powerful flavors. Raw or cooked you can never go wrong. Mushrooms. A majority of the mushrooms consumed by Americans are of the Agaricus bisporus species and include white button and largely flat, brown Crimini and Portobello. Mushrooms contain many nutrients utilized by the body to generate energy and repair cells and have been shown to have antiviral, antibacterial and antitumor properties. They have been associated with increasing the production and activity of white blood cells, which are responsible for fighting infection. They are an excellent source of protein, fiber, Vitamin C, Vitamin B2 (riboflavin) and minerals including selenium, copper, potassium, and zinc. 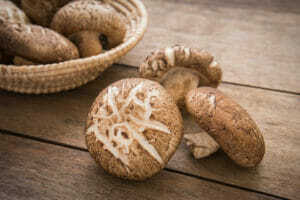 Many types of mushrooms, including Shiitake and Reishi mushrooms, contain immune enhancing beta-glucans that have been shown to encourage the production of natural killer cells, a type of lymphocyte (white blood cell) that produces substances known as cytokines, which aid the body in fighting infection. Mushrooms are easy to add to salads, soups, and stews or can be seasoned and sautéed or broiled as a stand-alone dish. The Portobello mushroom is particularly awesome as a stand-alone meal as it is extremely hearty and meaty. Wonderful for that chilly fall or winter day! Sweet Potatoes are not a member of the potato family as one would think. Sweet potatoes belong to the Convolvulaceae family, also known as the bindweed or morning glory family. They are an excellent source of Vitamin A (beta-carotene form) and Vitamin C, which are both known for their antioxidant effect. Sweet potatoes also contain storage proteins called sporamins, which have been identified as an antioxidant compound. Did you know that research has also found that sweet potatoes have a “potent ulcer healing effect,” particularly in the case of peptic ulcers? It’s true! Learn more: New Studies Prove Sweet Potatoes HEAL Stomach Ulcers! Sweet potatoes can be sliced, lightly coated with olive oil, seasoned to taste and baked in a 350-degree oven for 20 minutes or until lightly browned. Steamed sweet potatoes can also be pureed and topped with cinnamon, walnuts and a drizzle of maple syrup for a healthy dessert. Spinach has been recognized as a superfood for good reason. It is packed with powerful nutrients that can prevent oxidative damage, and it is one of the most alkaline-producing foods. A healthy pH balance is required for a healthy immune system. A highly acidic balance will decrease the body’s ability to absorb minerals and other nutrients, to repair damaged cells, and will allow bacteria, viruses, parasites, and yeasts to flourish which is the first stage of chronic illnesses. 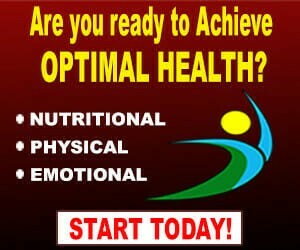 When the body is in a healthy alkaline state it is better able to heal itself. Eating raw or lightly cooked spinach provides the most nutritional benefit. They also make a good leafy green to add to any smoothie. Or how about trying a Spinach Stuffed Portobello? I just know you will love it! 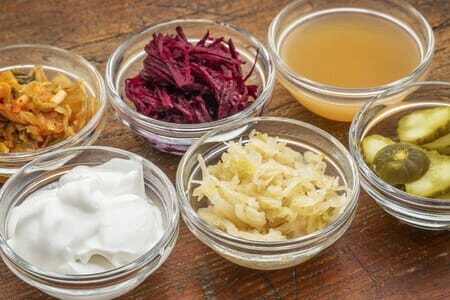 Fermented foods such as yogurt, kefir (a fermented milk product), sauerkraut, pickles, kimchi, tempeh and even sourdough bread help to maintain a healthy gut flora. Approximately 75% of our immune system resides in our gut and thus, is why many diseases have been associated with an imbalance of the gut flora. Consuming fermented foods helps to maintain a healthy balance of “good” bacteria, which supports a healthy immune system. “Friendly” bacteria defend against pathogens and aids in the production of antibodies. Additionally, fermented foods help the body to absorb the vitamins and minerals that are necessary for a healthy immune system. Try adding kefir or organic yogurt to your smoothie for a satisfying breakfast on the run! Berries are rich in Vitamin C, flavonoids, and phytochemicals and have been shown to enhance immunity and protect against toxins and infection. The flavonoids in berries reduce inflammation and repair cellular damage. Blueberries, strawberries, and raspberries contain the powerful flavonoid anthocyanin, which is responsible for the red-blue plant pigments that have been shown to combat oxidative stress, a factor in the onset of disease. Add berries to organic yogurt, a smoothie or even a salad for both added flavor and health benefits. Special Note: All berries, including grapes, when conventionally grown have the highest amounts of pesticide residue. Because their skin is so thin, washing the fruit makes little to no difference of removing the pesticides. It is always best to consume only organic berries and grapes. Beef only organic and grass-fed is an excellent source of protein that is high in B Vitamins (especially Vitamin B12), iron, zinc, selenium, and CLA. CLA (conjugated linoleic acid, a fatty acid) is two to five times higher in grass-fed animals than grain-fed animals and is a known immune system enhancer. Iron and Zinc strengthen the body’s resistance to viral and bacterial infections and a deficiency can lead to a depressed immune system. A selenium deficiency has been associated with increased free-radical damage. 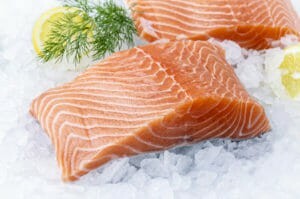 Wild Salmon is a high-quality protein that is a good source of Vitamin D which is known to kill harmful bacteria and viruses. It also contains omega-3 fatty acids which according to studies can improve immune and inflammatory disorders, and selenium, an essential mineral that has been shown to have antioxidant properties especially when combined high-quality E.
For a quick meal, rub an 8 oz. portion of salmon with olive oil, and season with salt, pepper, garlic, and dill. Bake at 425 degrees for 15-18 minutes, or until it easily flakes. Special Note: There is concern over the amount of mercury found in wild salmon and the potential health effects, especially cancer and neurological illnesses. Mercury is now found in nearly all bodies of water, and when it comes in contact with bacteria a chemical reaction occurs that converts mercury to methylmercury, the toxic form of mercury. “Bacteria that process sulfate (SO4=) in the environment take up mercury in its inorganic form and convert it to methylmercury through metabolic processes. The conversion of inorganic mercury to methylmercury is important because its toxicity is greater and because organisms require considerably longer to eliminate methylmercury. These methylmercury-containing bacteria may be consumed by the next higher level in the food chain, or the bacteria may excrete the methylmercury into the water where it can quickly adsorb to plankton, which are also consumed by the next level in the food chain. Coconuts and Virgin Coconut Oil contain the saturated fat lauric acid, which is a medium chain fatty acid. When lauric acid is consumed, much is converted to a compound known as monolaurin, which has been shown to have antibacterial and antiviral properties. Monolaurin is a fat found in breast milk that is known to contribute to the development of an infant’s immune system. Coconut oil can be used in place of butter and common cooking oils. Organic Raw Honey is full of natural antioxidant vitamins and minerals and is thought to possess antiviral, antibacterial and antifungal properties. It has been shown to enhance the immune system and to help combat respiratory conditions. More about the health benefits of honey can be found HERE. Apple Cider Vinegar has antibacterial, antiviral and antifungal properties and contains immune-boosting vitamins and minerals. It can be used to balance the body’s pH levels creating a more alkaline environment which is known to enhance the healing effects of the body’s immune response. 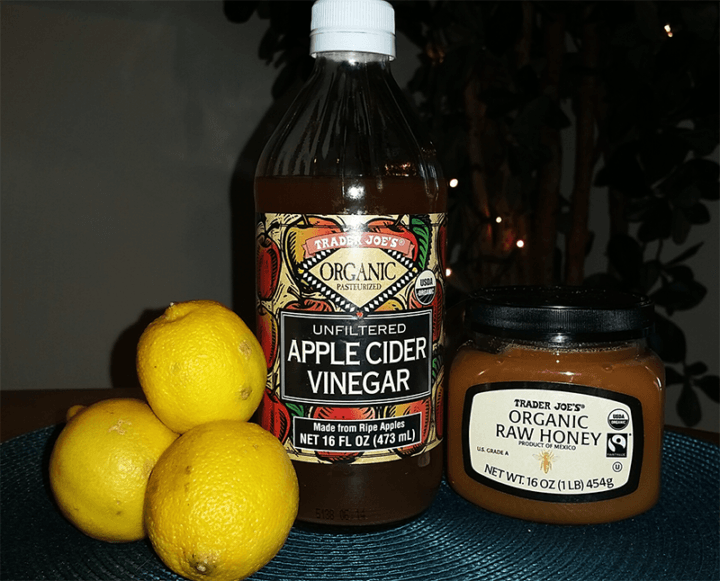 A mixture of warm filtered water, raw unfiltered apple cider vinegar, lemon, and organic raw honey is a nurturing drink used by many to prevent or fight cold and flu symptoms. Green tea is known for its many health benefits, including boosting the immune system. Green tea contains catechins, a polyphenol that has been shown to stimulate production and activity of immune cells and inhibit production of disease-promoting inflammatory compounds. Holy Basil tea has been used for many years in Ayurvedic medicine as a remedy for the common cold and flu. Basil is high in antioxidants and is known to boost the immune system, especially the lungs and respiratory system. Finally, let’s not forget the importance of water! 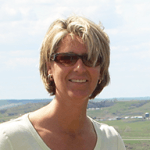 In a nutshell, hydration is important for the proper function of all systems, including the immune system. It is required for blood to carry oxygen to the cells in the body, and for the kidneys to flush out toxins. Adding lemon or lime to the water will give it an additional boost of Vitamin C as well as promote the body’s pH level to be more alkaline! 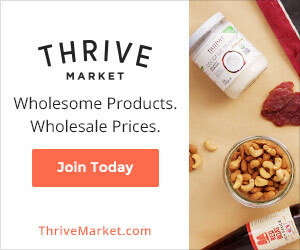 A healthy organic whole food diet that includes some or all of the above foods as well as additional foods containing immune-boosting nutrients such as Vitamins A, C and E, selenium, zinc, and probiotics, should always be the first line of defense when it comes to staying healthy during the cold and flu season! 8 Superfoods to Supercharge Your Life! STOP The Waste! Ugly Food Is Nutritious TOO!